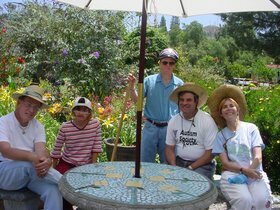 the Religious of the Society of the Sacred Heart created a program in El Cajon, California for preschool children with developmental disabilities. It began with one classroom and eight students. The first director of St. Madeleine Sophie’s Center (SMSC) was Sr. Mary Mardel, RSCJ who was followed by Sr. Sally Rude, RSCJ. In 1968, Sr. Maxine Kraemer, RSCJ, took on the role of director. “We decided to start a preschool to prepare these children for public school. It started on nickels and dimes. The parents came on Saturdays to help. In 1975, a new federal law mandated that the public school system assume responsibility for training these young students. The new law also required changes in training for teachers of the developmentally disabled and changes in public school programs and facilities that, before this time, were not designed to meet the needs of the students. Integrating children with disabilities into public schools opened a whole new world as social interactions and broader training helped these students achieve higher skill levels. It also created higher aspirations for their future and higher expectations of living full and productive adult lives. Recognizing that the needs of preschool-age children with developmental disabilities were going to be met by the public school system, SMSC determined in 1972 to change its focus and transition its services to meet the needs of adults with developmental disabilities. Sr. Maxine Kraemer was instrumental in orchestrating this transition to services for adults and educating the community about the fact that SMSC was no longer a preschool. Once the focus changed, parents were thrilled to learn that SMSC was available to serve their adult children. Over the years, SMSC continued to enhance and expand its programs and welcomed a growing number of adult students (also called consumers). Expanded opportunities were offered that helped these individuals live fuller lives, work at jobs they enjoyed (which also enabled them to earn needed income), and participate in some of life’s simplest pleasures, such as watching a favorite movie, sharing a meal with friends, and reminiscing with family. Sometimes for those who have a developmental disability, the simplest dream can become a great accomplishment; and sometimes these dreams are powerful statements of how much this incredible community of people not only wants to give, but also demonstrates how much they have to give from their hearts. At SMSC, quality is never sacrificed, and each student’s individual needs are met. With a low student-to-instructor ratio, SMSC has been very successful in attracting highly skilled employees. SMSC employs over 110 staff members and is served by more than 150 dedicated volunteers. 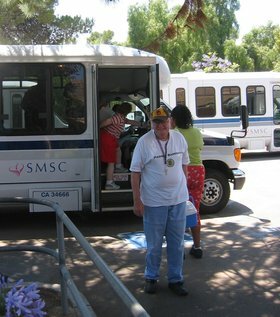 And, because public transportation is inaccessible or inappropriate for use, SMSC has its own fleet of more than 30 paratransit vans and buses that transport students between home, campus, and work sites, five days a week. Innovative ideas designed to focus on strengths and abilities of students and staff members. Excellent relations with community organizations. Creativity in designing services and programs.